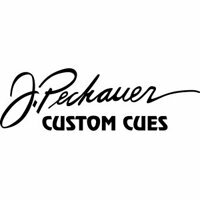 Headquartered in Green Bay, Wisconsin, J. Pechauer has been building custom pool cues for over 30 years. At Pechauer, the cuemakers hand pick and process all the wood that goes into their cues themselves. Everything that goes into a Pechauer cue is among the highest quality available. Exotic woods, inlays, tips and ferrules are all built with top notch materials. The Pechauer process means all parts are threaded, as well as glued, the finish is hand sprayed with 8 coats, sanded between each coat and polished to a high gloss finish. Plus, every single Pechauer cue is 100% made in the USA and includes a lifetime warranty against warping and defects. All J. Pechauer cues qualify for Free Ground Shipping in the lower 48 United States!